November is Pancreatic Cancer Awareness Month. Pancreatic cancer is one of the nation’s deadliest cancers with a five-year survival rate of just nine percent. 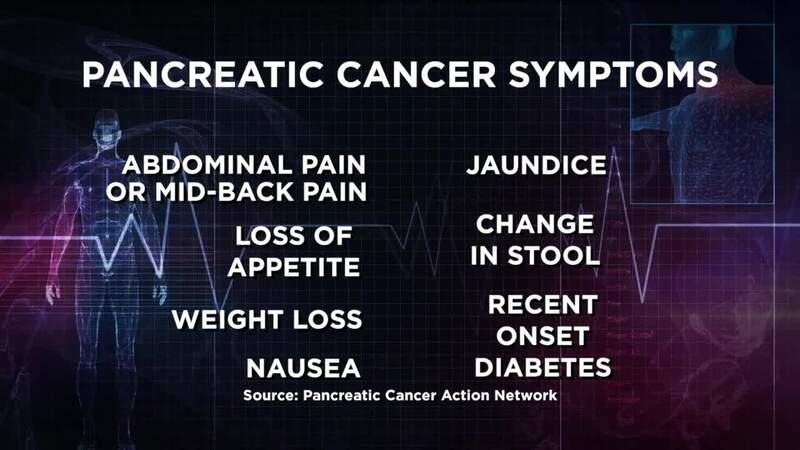 It’s a disease that kills more people than breast cancer in the U.S.
Pancreatic cancer claimed the life of Aretha Franklin in August of 2018 and Michigan Opera Theatre champion David Dichiera a month later in September. 65-year-old Jerry Lawrence is grateful their families shared the diagnosis. The Detroiter learned he was facing pancreatic cancer in August of 2017. “[I] started having some tummy aches, pains in my stomach. I was like what is that?” recalled Lawrence. “I had never been sick in my life. 'Dude! Where? Are you sure? '” he remembered asking the doctor. Jerry Lawrence focuses on staying positive. A lapel pin his niece designed now sports his own motto -- Always on the positive tip! “’I can. I will. End of story,'" read Lawrence. "Meaning I will defeat. I will be a survivor. And I’ll have a story to tell,” he added confidently. I want to thank Mr. Lawrence for sharing his story. He is such an inspiration. Many of you know that last year this disease claimed the life of my father -- Dave Smith. He was 76 years old. Our family did not know the vague symptoms to identify. We hope raising awareness will help others catch the disease early. You can help save lives by spreading the word about symptoms and risk factors associated with pancreatic cancer. World Pancreatic Cancer day is Thursday, November 15, 2018.